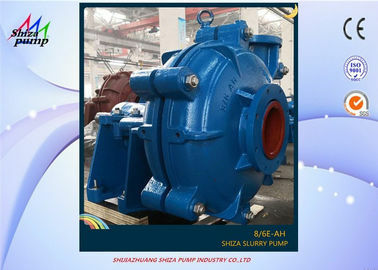 The basic structure of the 6 / 4 D - AH slurry pump is composed of six parts: impeller, pump body, pump shaft, bearing, sealing ring and stuffing box. 1. The impeller is the core part. It has a high speed and a large force. The blades on the impeller play a major role. The impeller must pass the static balance test before assembly. The inner and outer surfaces of the impeller are required to be smooth to reduce the frictional loss of water flow. 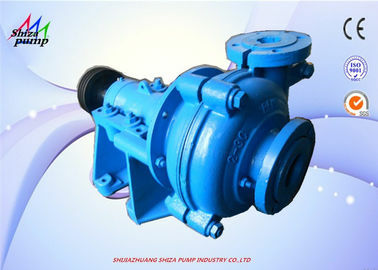 2, the pump body is also called the pump casing, it is the main body of the pump. It acts as a support and is attached to the bracket on which the bearing is mounted. 3. 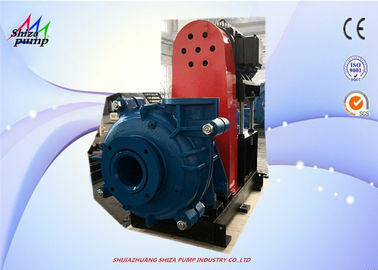 The function of the pump shaft is to connect the coupling to the motor and transmit the torque of the motor to the impeller, so it is the main component that transmits mechanical energy. 4. The bearing is a member that supports the pump shaft on the pump shaft, and has two kinds of rolling bearings and sliding bearings. Rolling bearings use butter as a lubricant to refuel properly. Generally 2/3 ~ 3 / 4 of the volume will be too much heat, too little and there is noise and heat! The plain bearing uses a transparent oil as a lubricant and refuels to the oil line. Too much oil will ooze along the pump shaft and float, too few bearings will overheat and burn out! 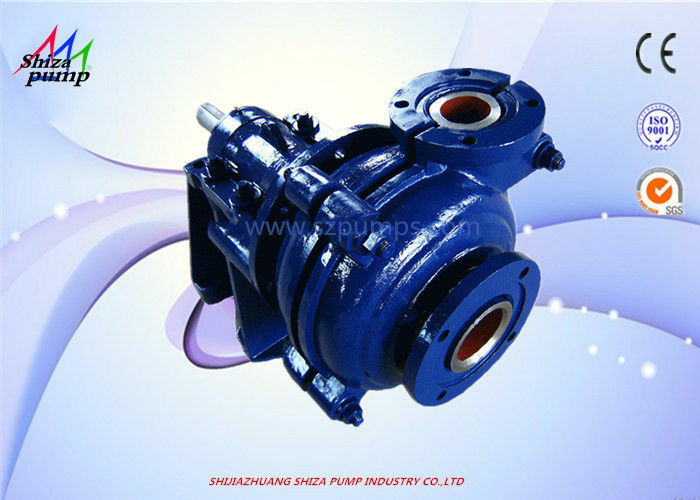 During the operation of the pump, the temperature of the bearing is at most 85 degrees and generally runs at about 60 degrees. If it is high, it is necessary to find the cause (whether there are impurities, whether the oil is black or not, whether it is water) and deal with it in time! 5, the seal ring is also known as the leak reduction ring. The gap between the impeller inlet and the pump casing is too large, so that the water in the high pressure zone of the pump flows to the low pressure zone through the gap, which affects the water output of the slurry pump and reduces the efficiency! Too small a gap will cause friction between the impeller and the pump casing. 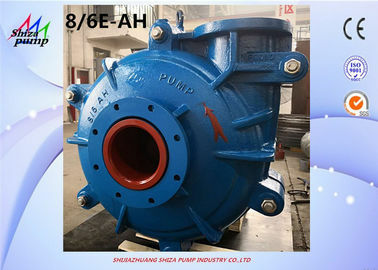 In order to increase the backflow resistance and reduce the internal leakage, and delay the service life of the impeller and the pump casing, a sealing ring is installed at the inner edge of the pump casing and the outer joint of the impeller, and the sealing gap is preferably maintained between 0.25 and 1.10 mm. 6. 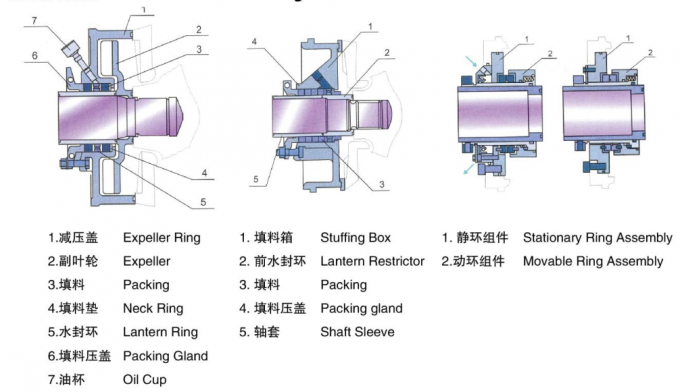 The stuffing box is mainly composed of packing, water sealing ring, packing tube, packing gland and water sealing tube. 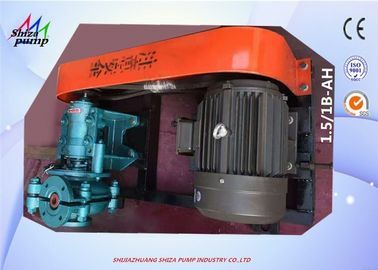 The function of the stuffing box is mainly to close the gap between the pump casing and the pump shaft, so that the water flow in the pump does not flow to the outside and the outside air does not enter the pump. Always keep the vacuum inside the pump! When the pump shaft and the packing friction generate heat, the water seals the water to the water seal ring to cool the packing! Keep the pump running properly. Therefore, it is especially important to check the stuffing box during the running inspection of the pump! The packing should be replaced after about 600 hours of operation. 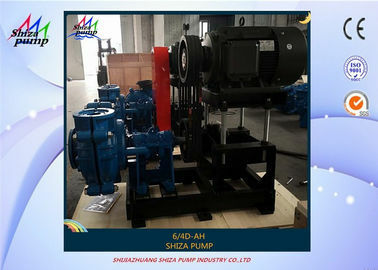 The quality of the pump installation has an important impact on the operation and life of the pump, so installation and calibration must be done carefully. 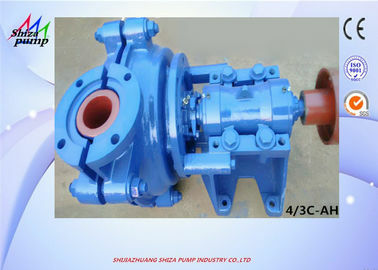 The shape and installation dimensions of the pump. 1) Remove greasy and dirt from the base and place the base on the foundation. 2) Check the level of the base with a spirit level, allowing the wedge to be leveled. 3) Water the base and anchor bolt holes with cement. 4) After the cement is dry, check whether the holes of the base and anchor bolts are loose. After proper fitting, tighten the anchor bolts and check the level. 5) Clean the support plane of the base, the pump foot and the plane of the motor foot, and install the water recording and motor on the base. 6) A certain gap should be maintained between the couplings. Check whether the center line of the pump shaft and the motor shaft are consistent. Use a thin gasket to adjust it to be concentric. 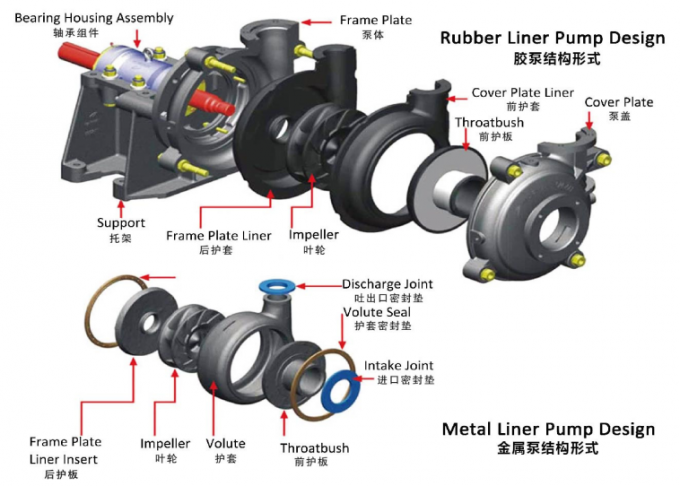 Measuring the outer and outer sides of the coupling, the difference between the left and right shall not exceed 0.1 mm, and the maximum and minimum difference between the end faces of the two couplings shall not exceed 0.3 (mm). 1) The installation height of the pump, the length of the pipeline, the diameter and the flow rate should be calculated in accordance with the calculation, and strive to reduce unnecessary losses. 2) When transporting long distances, take a larger diameter. The pipeline of the pump should have its own support. The weight of the unsupported pipeline should be added to the pump to avoid crushing the pump. 3) If the discharge line is installed with a check valve, it should be installed outside the gate valve.